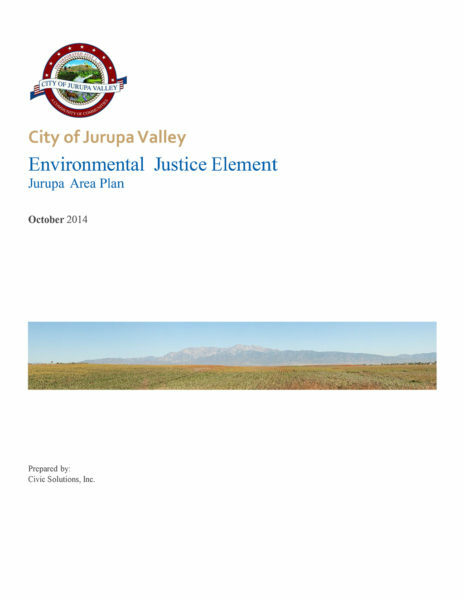 Civic Solutions prepared the Jurupa Valley Environmental Justice General Plan Element which was adopted by the City of Jurupa Valley in 2014. The Element includes a comprehensive set of objectives and policies to ensure that all members of the community are able to participate in decisions that influence their environment. The Element also contains objectives and policies to ensure that disadvantaged populations are not unduly affected by environmental hazards. 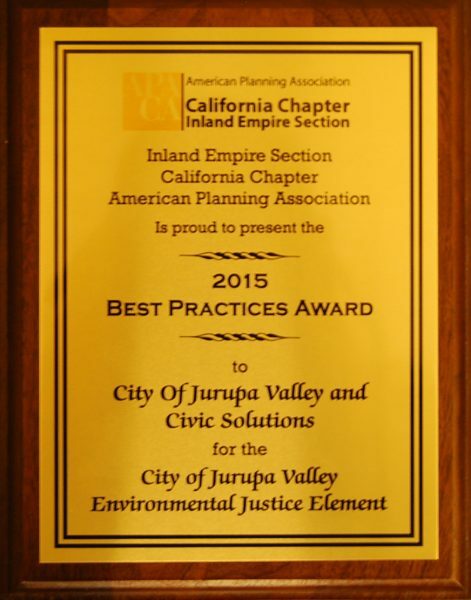 In 2015, the Jurupa Valley Environmental Justice Element received two prestigious planning awards. The Element received a Best Practices in Planning award from the Inland Empire Section of the American Planning Association in May of 2015. The Best Practices award recognizes planning efforts that demonstrate how innovative and state-of-the-art planning methods and practices help to create communities of lasting value. 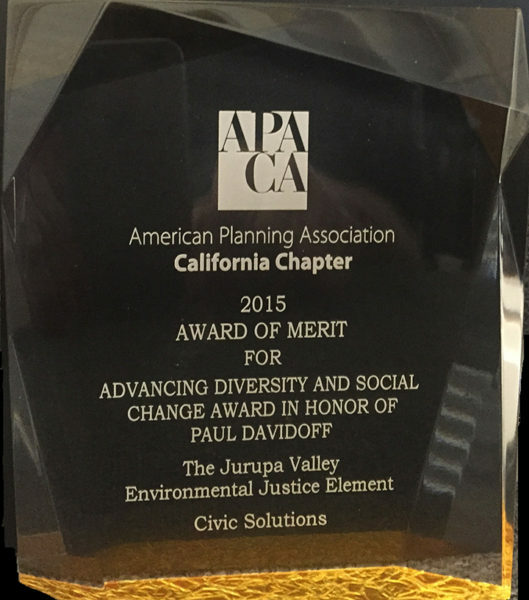 In addition, in October of 2015, the California Chapter of the American Planning Association bestowed an Advancing Diversity and Social Change Award of Merit on the Element. 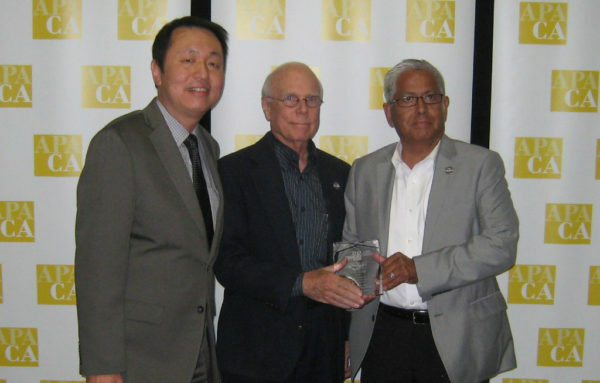 This award acknowledges an individual, organization or project that promotes diversity and a commitment to advocating for disadvantaged populations.